I've had this jar stamp for a long time. Never got the courage to stamp it because I didn't think I could make it look like something was inside, but when I saw the challenge at 52-Card Pickup this is the stamp that came to mind, and the sentiment that goes with it. 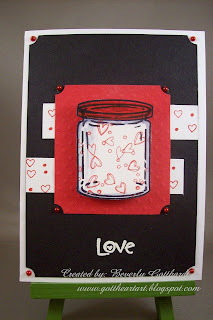 Supplies: White Card Blank 4" X 5 1/2" The Paper Studio, Papers: Stampin Up-Whisper White, Basic Black, red-The Paper Company, Stamps: See-D's-#50043 Cute as a Bug, Stampendous-MTC12 Happy Heart Cube, Stampin Up-Sprinkles, Heidi Grace-baby, Ink: Ranger Archival Ink-Jet Black, Stampin Up-Riding Hood Red, VersaMard Ink, CTMH embossing powder-white, CTMH marker-cranberry, Copic marker-cool grey, Stampin Up-Sizzix texture plate-small dots, Stampin Up-ticket punch, Recollections-pearl stickers, sentiment generated in PrintMaster 11, pop dots. 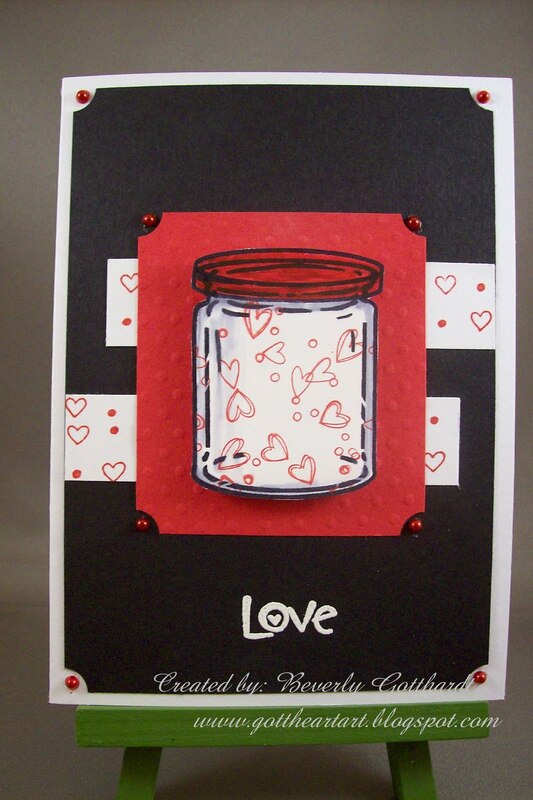 Beverly...cute card...love the hearts floating around in it...I will have to try that with my jar stamp too...great work...thanks for sharing. 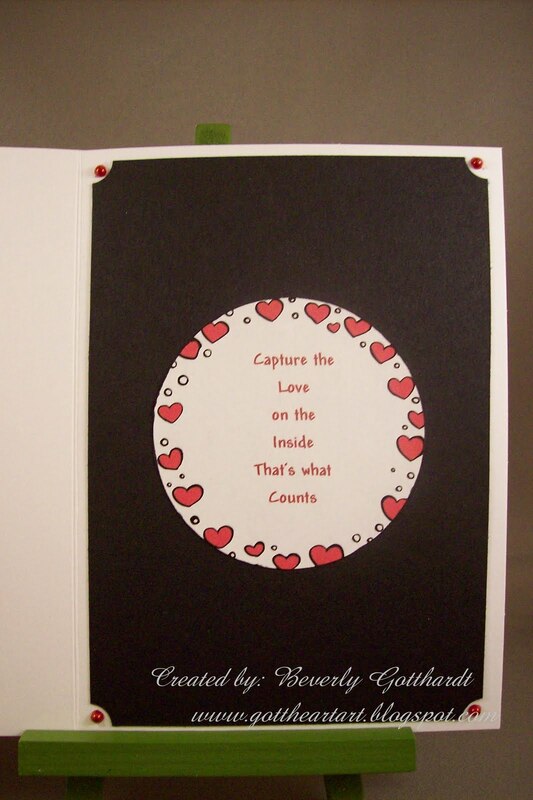 Oooh this is such a cute card! Love in a bottle - what a great image!